ISBN 9780193407275. 12 x 9 inches. 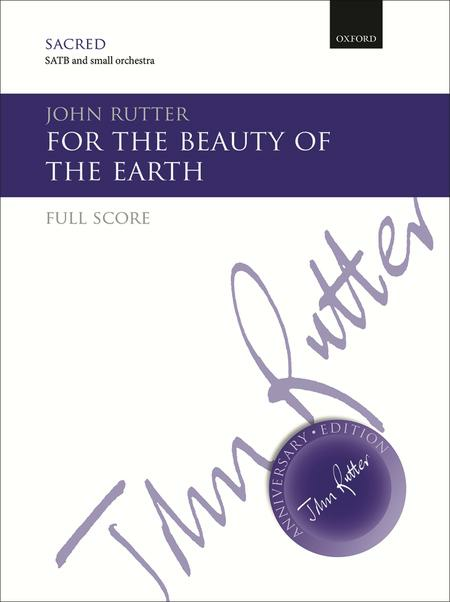 Full score for the classic Rutter anthem For the beauty of the earth. The John Rutter Anniversary Edition celebrates the 70th birthday of one of Britain's leading composers and the 30th anniversary of his choir, The Cambridge Singers. 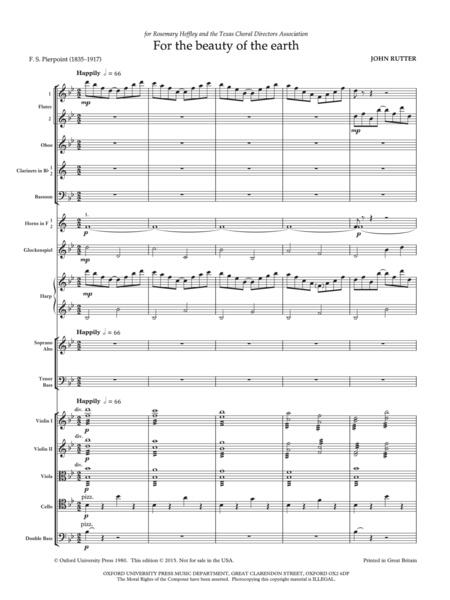 Featuring mainly earlier pieces from the composer's catalog, this series presents seminal works for mixed chorus in brand new editions and with accompanying notes on both the music and performance, written by the composer himself. 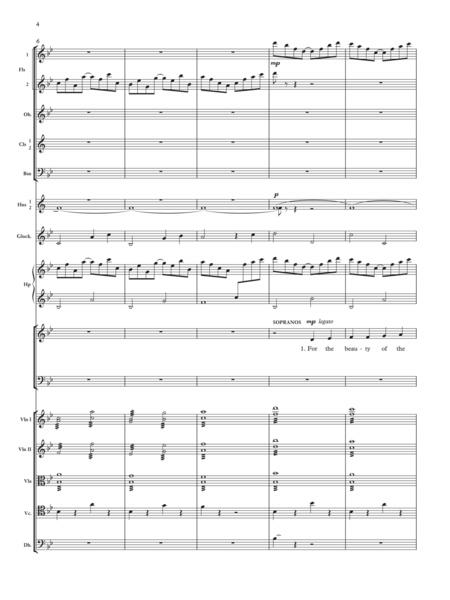 The Anniversary Edition provides the most comprehensive and authoritative performance materials (including full scores and parts) for over 30 of the composer's favorite anthems, carols, and songs.